Total Body Cleansing Kit is cleansing and detoxification of the entire body and reproductive organs (Colon, Liver/Gallbladder, Kidney/Bladder, Parasite/Immunity for Women and Men) with powerful organic herbs to get rid of inside/out accumulated waste and impurities that causes health challenges, detoxify and expel the bloodstream of toxins, bacteria and parasites, fight inflammations and aging related issues contributing to infertility and boost fertility, improve digestion and healthy weight, enhance strong immune system and promote over-all body functions at its optimal healthy level. Clear up many health complaints and make body less prone to illness, prevent health crisis before they occur and gives benefits beyond fertility and wellness. Speed up healing and increase the effective of herbal treatment by 300%. FertilSeed is an ancient formula designed to reinforce essence and reversing sterility, aid planting seed of fertile offspring and reproduction for male and female infertility, improve the health of the ovary and male genital system, treat fertility issue related to azoospermia, defective/severely low sperm counts, ovary dysfunction, smallish uterus and long standing inability to conceive or father a child. Essential Body Cleansing Kit is cleansing and detoxification of the body with powerful organic concentrated herbs that provide major health benefits, when starting fertility treatment or healing program. 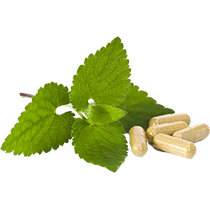 Helps the body to absorb the herbal remedies better and hasten up results, an essential cleanse to achieve good result with herbal treatment. It’s one step and important part of the Total Body Cleansing Kit, it comes with manual on step by step of how to do the cleanse. StaphCure Capsules Is especially designed To clear staphylococcus Infection Naturally and get rid of all symptoms related to staph infections, works for highly resistance staph infection, MRSA which have failed to clear with antibiotic or long standing staphylococcus aureus that keep recurring including PID (Pelvic Inflammatory Disease, Scrotal Infections and Skin Eruptions). Clear Both Internal And External Staphylococcus Infections No Matter How Long You Have Them.